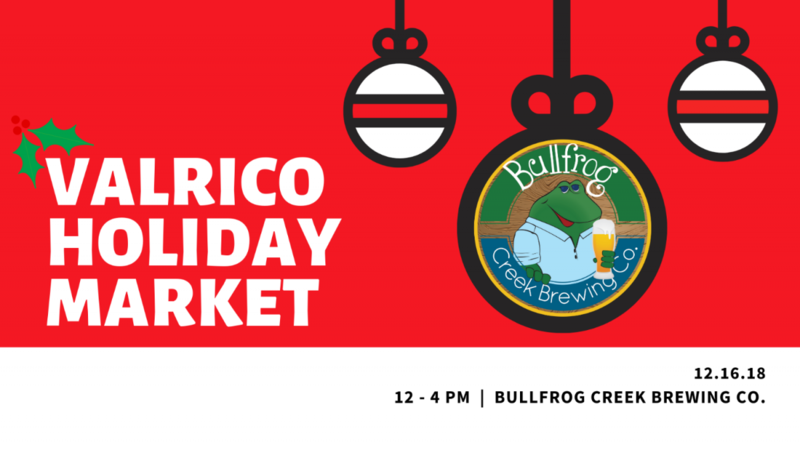 Bullfrog Creek Brewing Co will be hosting the Valrico Holiday Market December 16th from 12-4pm! Come get your holiday shopping done while also supporting local businesses! There will also be a Dog Ugly-Sweater Contest so make sure to bring Fido in his festive gear. At the market you will find something for yourself, something for your friend, your mom, your neighbor, your dog, your child, your weird Uncle John all while supporting small, local businesses. We pride ourselves in our vendors and the unique items they create and we want to give them the opportunity to showcase their items while giving you the opportunity to view (and hopefully purchase) them all with a cold beer in your hand and a belly full of food truck goodness. Antiques, art, baked goods, beauty products, children's items, clothing, flowers, food trucks, jewelry, musicians, paper goods, pet items, plants, records, Vintage Clothing, Vintage Housewares.